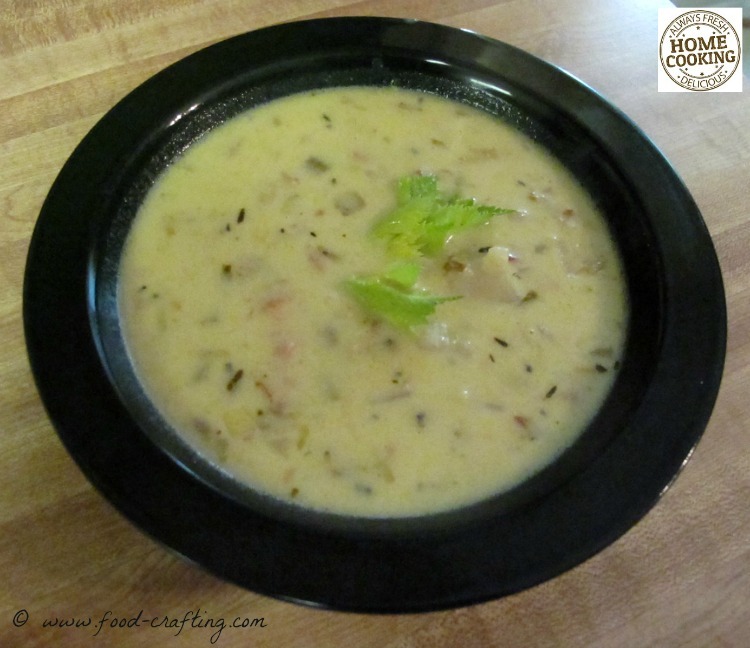 The Best New England Clam Chowder – My grandsons and I always have fun cooking “special” requests during the summer. The chowder was one such request they thought of as the perfect side dish to have with their packed sandwich lunch. They are growing boys – taller than me this summer of 2017. A sandwich with a side of fresh fruits and veggies just does not cut it anymore after a strenuous 2 and half hours of league volleyball. ==> These spoons are perfect for heavy soups like Clam Chowder! The Best New England Clam Chowder! The boys have traveled extensively throughout half the country and even overseas. However, a year is not complete (even for the parents, grandparents and great-grands) without a trek to the ocean for a whiff of salt air, sneakers full of sand and lots of seafood – particularly a huge bowl of the best New England Clam Chowder they can eat! It’s a tradition that dates back more than 80 years on both sides of the family. During the early 30’s, my great-grandparents would take their grand-daughters on beach vacations to Ault Beach in the Somme. My husband’s grandparents, who lived in Forest Hills, would vacation on Atlantic Beach. He stills remembers the family cabana but especially the feel of the sand. We even have connections to Cape Cod and Boston where we sampled the best ever New England clam chowder at Durgin-Park. These days, we cross the Chesapeake Bay and head for the Delaware beaches – where we always make time to eat clam chowder at our favorite seafood eatery. I do believe the call of the ocean is in the genes. So, this year, their list of special food requests from Grandma included clam chowder, lobster and crab bisque. Classic soups, right? It was high time to have something reminiscent of our beach trips. The photo above illustrate the thick and creamy New England clam chowder found in restaurants such as Durgin-Park. After a bowl of this chowder, there is no room for anything else on the menu! My clam chowder is not quite as thick but it is far from being a broth. The recipe contains milk and cream but I elected not to thicken it quite a much as authentic clam chowder. Bacon bits remained afloat and so did the oyster crackers. This does, however, not prevent anyone trying out my recipe to thicken the soup to authentic proportions. Grandma received a “just as good as the restaurant” rating for her best Clam Chowder! Only the restaurant decor and proximity to the beach were missing. 1 cup whole milk (heated in the microwave for 30 seconds. Saute until the onions, celery and leeks are translucent. In the meantime, wash, peel and cut 3 large Russet potatoes into 1 1/2 inch pieces. As you cut the potatoes, add them to the onion and leek mixture. Stir to combine the potato pieces evenly with the chopped vegetables and bacon. Pour 1 cup of water over the vegetables. Add 1 large Knorr© chicken bouillon cube, crumbled into small pieces. Cook the potatoes and vegetables in the broth until tender. In a small bowl, combine 1/2 cup of clam juice with 3 to 4 tablespoons of cornstarch. set aside. Pour remaining clam juice over the potato mixture. Add the clams. Stir to combine evenly and heat through. Add the corn starch mixture and heat over gentle heat until the liquid begins to thicken. Pour the milk evenly throughout and stir to combine. Heat though until thickened. Pour in the heavy cream and heat through. Adjust seasoning to taste and serve immedately with oyster crackers. You can also purchase “restaurant style” clam juice or clam base. 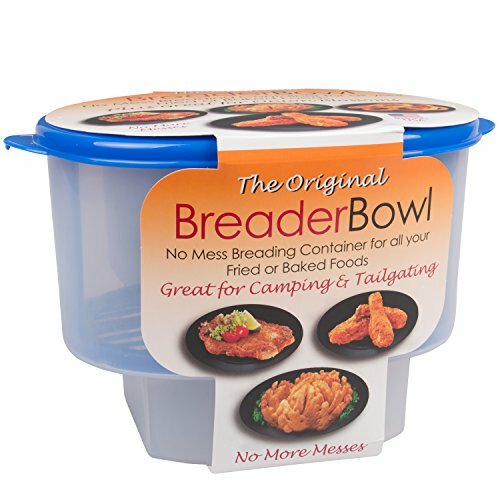 Perfect when making quantities of chowder or soup. Adjust seasonings to taste and serve immediately with oyster crackers. 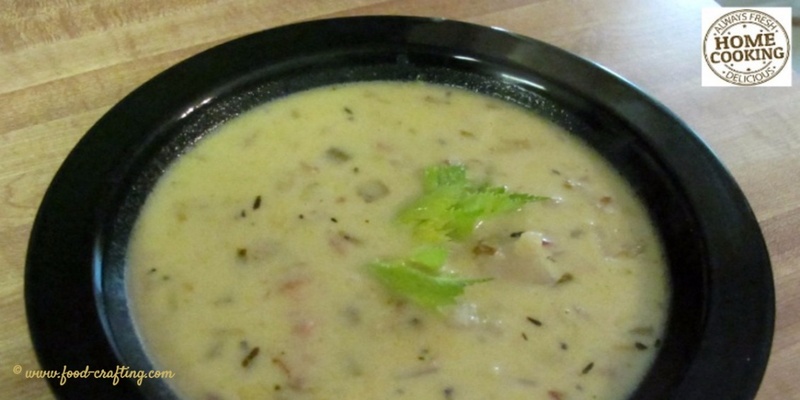 Note: Snow’s makes yummy canned New England style clam chowder! The “per serving” sodium content is 650 mg. Yikes. Dad’s favorite soup is a French classic! 1 The Best New England Clam Chowder!